Coleston Brown�scholar and expert on the esoteric Christian traditions�reaches far beyond any other book of its genre to bring us a truly experiential form of Christianity. Drawing on the myths, legends, lore, and symbols inherent in the Christian tradition, Brown reveals the potential in all of us to use, as he does, Magical Christianity as a practice for healing and regenerating the spirit. Brown combines the insights he gained as a student under Gareth Knight, a renowned authority on Kabbalistic magic, with his own study of ancient texts and practice of the esoteric Christian tradition, developing this new work, the official text and formal course of training in what is now known as the Western Magical Tradition. Readers will be captivated by the symbols Brown covers in this book, including the sphere, the holy fire, the wheel of life, and the planes of being. He even details the magical power of sacred architecture rich in the Christian tradition as a basis for magical practice. 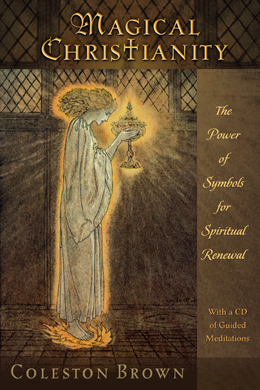 This revised edition also includes an experiential meditation at the end of each chapter and a CD of guided meditations to bring readers more deeply into the transformative power of Christian symbolism.